Get your CGT Wearables & Collectables below … please use the form each item available below to send in your order request and we will send you a email with the total amount due and the payments method available. 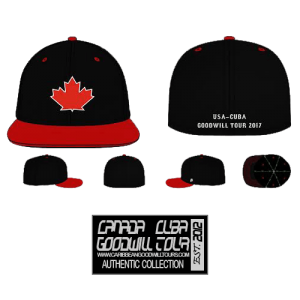 Wear the Authentic Team Canada hat worn on the field at the Caribbean Baseball Goodwill Tours! The hats are custom made only for the Players, Coaches and Fans! Our authentic caps are in the New Era Cap 59 Fifty style! Hats are available in sizes Youth, S/M, M/L, L/XL or XXL in Flex Fits and well as Snap Backs! Cost: $19.95 … plus shipping and any applicable taxes. 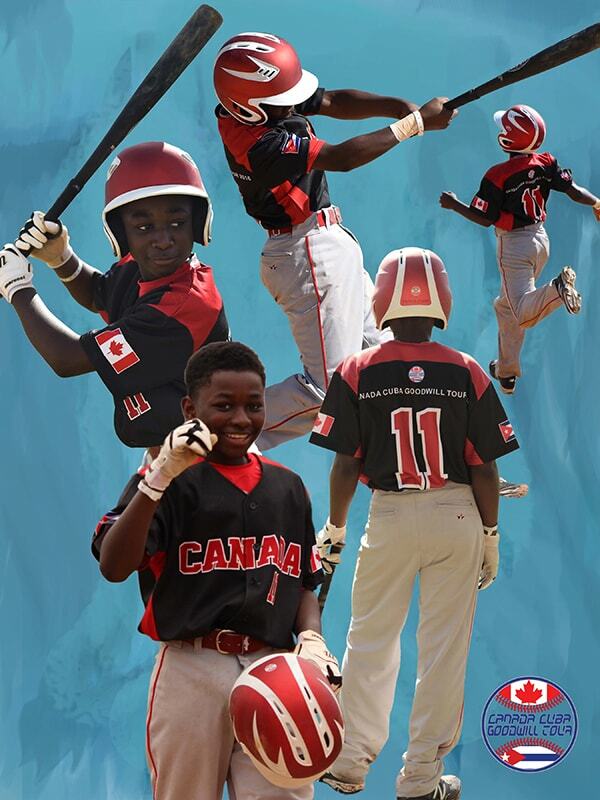 Wear the Authentic Team Canada Hat worn on the field at the Caribbean Baseball Goodwill Tours! The hats are custom made only for the Players, Coaches and Fans! Our authentic caps are in the New Era Cap 59 Fifty style! Send us a request for what you want and we shall send you an email with the total cost including any applicable taxes and shipping amount along with a payment method. 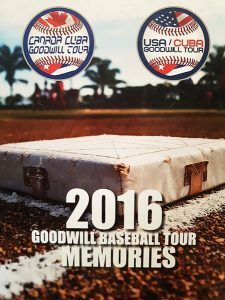 Wear the Authentic Team USA hat worn on the field at the Caribbean Baseball Goodwill Tours! 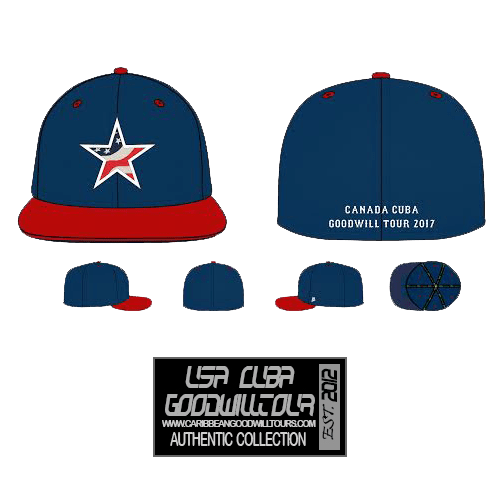 Wear the Authentic Team USA Hat worn on the field at the Caribbean Baseball Goodwill Tours! The hats are custom made only for the Players, Coaches and Fans! Our authentic caps are in the New Era Cap 59 Fifty style! Send us a request for what you want and we shall send you an email with the total cost including any applicable taxes and shipping amount along with a payment method. You can wear a part of history with this dry fit Goodwill Tour T shirt! 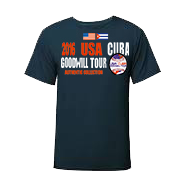 Wear what the team wears in Cuba! Cost: $22.95 … plus shipping and any applicable taxes. You can wear a part of history with this dry fit Goodwill Tour T shirt! 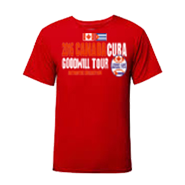 Wear what the team wears in Cuba! Sizes are available in youth and adult sizes ... Youth – M, L, XL Adult – S, M, L, XL, XXL Send us a request for what you want and we shall send you an email with the total cost including any applicable taxes and shipping amount along with a payment method. 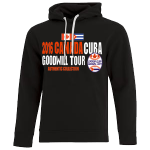 Sport this new hoodie with the Authentic Logos from the Caribbean Goodwill Baseball Tour! Wear this during all 4 seasons! Cost: $44.95 … plus shipping and any applicable taxes. Sport this new hoodie with the authentic logos from the goodwill tour! Wear this during all 4 seasons! Sizes are available in youth and adult sizes! Send us a request for what you want and we shall send you an email with the total cost including any applicable taxes and shipping amount along with a payment method. 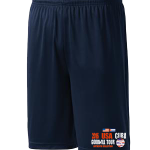 Sport these new shorts with pockets with the Authentic Logos from the Caribbean Goodwill Baseball Tour! Cost: $19.99 … plus shipping and any applicable taxes. 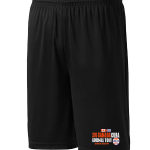 Sport these new shorts with the Authentic Logos from the Caribbean Goodwill Baseball Tour! Send us a request for what you want and we shall send you an email with the total cost including any applicable taxes and shipping amount along with a payment method. Take a piece of history home with you with this over 150 page, full color memory book which covers each week with write ups and photos! All of the tour’s history is captured in this collectors item! Cost: $39.99 … plus shipping and any applicable taxes. All of the tour's history is captured in this collectors item! $39.99. Send us a request for what you want and we shall send you an email with the total cost including any applicable taxes and shipping amount along with a payment method. This 18″ x 24″ poster captures your son or daughters action poses for the week! These posters are custom made from scratch directly from the photos taken from the tour! Cost: $69.99 … plus shipping and any applicable taxes.